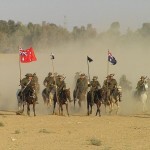 Address by Rabbi Dr Raymond Apple AO RFD at the World War I Battle of Beer Sheva commemoration, Park of the Australian Soldier, Beer Sheva, Monday, 31 October, 2011. I want to begin my remarks by telling you about my father. He was born in Jerusalem over a century ago and ended up in Australia after the First World War. In the late 1920s he paid a visit to Eretz Yisra’el and when he told the locals that he was from Australia it immediately struck a chord. 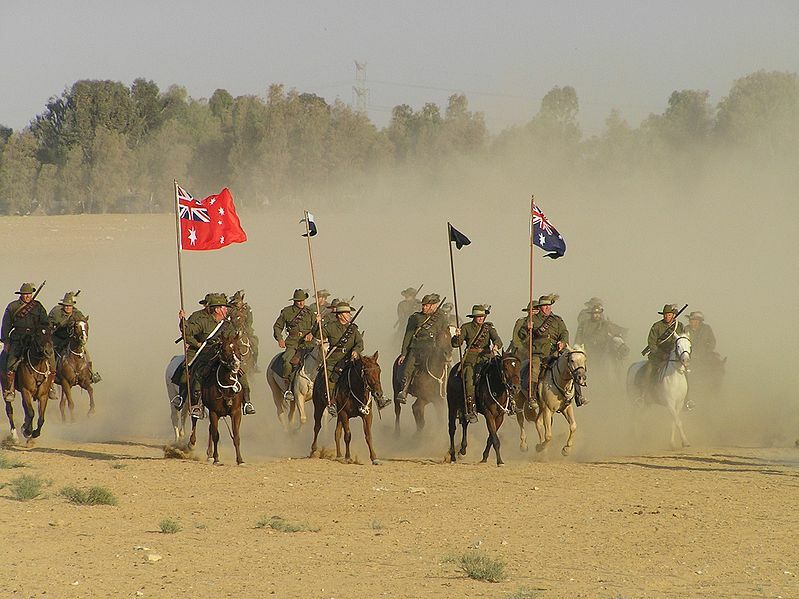 The Australians were bronzed, handsome heroes who had served in the Middle East during the war. My own cousins, who were toddlers at the time, cherished the legends about Aussies who always had coins, sweets and a grin for children. No-one could ever cut the Australians down to size. Australia and Israel became firm friends in those far-off days and our two nations remain close and warm. Other places, other people don’t know the Israelis and can’t find a good word for them, but there has never been a divide between Australia and Israel and never will be. Here you find evidence of Australia everywhere. All over Israel there are Australian eucalypts and Australian accents. Here in Beer Sheva there is this park, created by the Pratt Foundation for the benefit of every age-group of Israelis, but especially the young and especially the disadvantaged. It would shock the sourpusses to find Arabs and Jews mixing freely in the Park of the Australian Soldier, as they do throughout Israeli society. Anyone who accuses Israel of apartheid doesn’t know what apartheid is, what Israel is, what the reality of life is. We Australian Israelis – or is the phrase Israeli Australians? – are proud of the bonds that bind our two countries. After World War II there was a neon sign in London, “Australia sends her best to Britain”. Food was short; the taste of Australia was in all the shops. Let me borrow that idea and say, “Australia sends its best to Israel”. Australian Olim are a success story. Australian Zionist youth are a great chapter in the story. They may make Aliyah; they might stay in Australia. Whatever happens, their lives will have changed for ever because of Israel, this land that is small in size but a giant in achievement and inspiration.